@BifBangPow: Walk Through Another Dimension with this Newly In-Stock The Twilight Zone Door Decal! 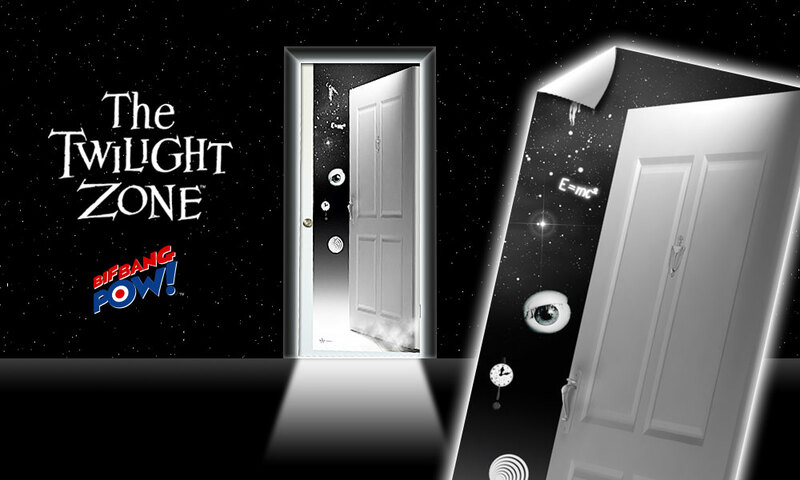 Walk Through Another Dimension with this Newly In-Stock The Twilight Zone Door Decal! Enter another dimension, a dimension not only of sight and sound but of your personal possessions! 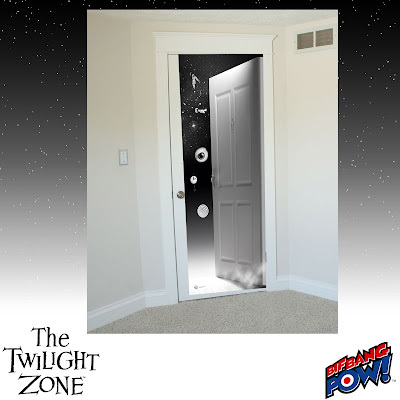 Make almost any door in your house a portal into another world with The Twilight Zone Doorway to The Twilight Zone Door Decal made by Bif Bang Pow!. When is a door not really a door? When it crosses over into another dimension! This other-worldly decal appropriately replaces the image of your door with the floating doorway, eyeball and clock made famous during the opening credits of The Twilight Zone series. The decal is designed to fit most size doors measuring 80-inches tall x 32-inches wide. Constructed of vinyl with low-tack 3M adhesive, this unique collector’s item can be mounted, removed, and remounted without damaging the decal or your door. The Twilight Zone Doorway to The Twilight Zone Door Decal is available and in stock now at Entertainment Earth. Order yours today before it leaves this dimension forever! See more of our The Twilight Zone products!